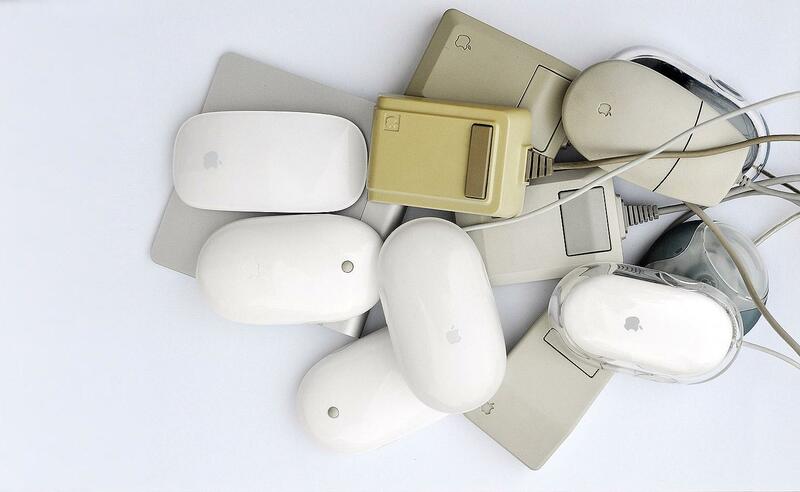 Welcome to our complete Apple mouse collection. Over the years we have taken care of them all. Understood and respected their unique differences. Welcome to our Apple Mouse Museum. 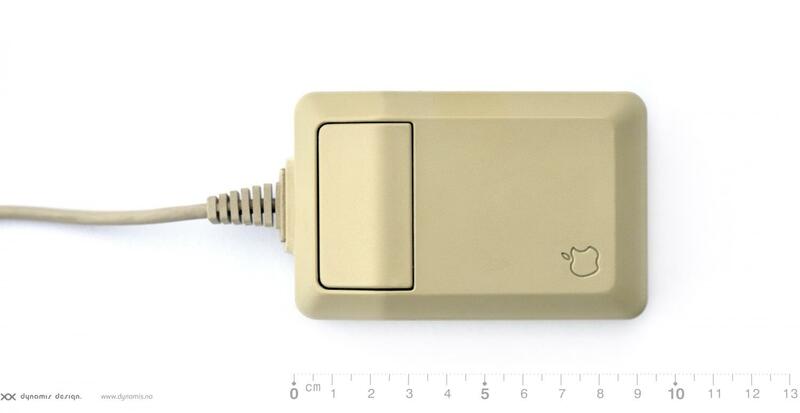 The Apple Mouse began as one of the first commercial mice available to consumers. Over the years Apple has maintained a distinct form and function with its mice that reflects its design philosophies. 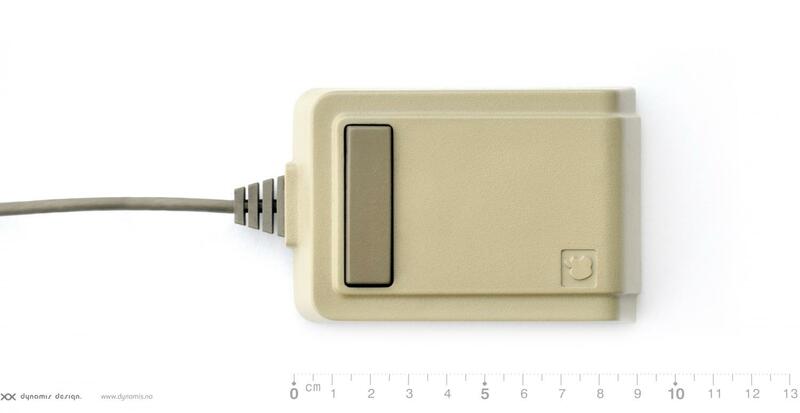 Lisa Mouse (A9M0050) created for the Apple Lisa was the first commercial mice sold in the marketplace. Included with the Lisa system in 1983. Rare to find. Dynamis Design is happy to have one. The Macintosh has the distinction of launching the mouse which has become the indispensable computing device we know it as today. 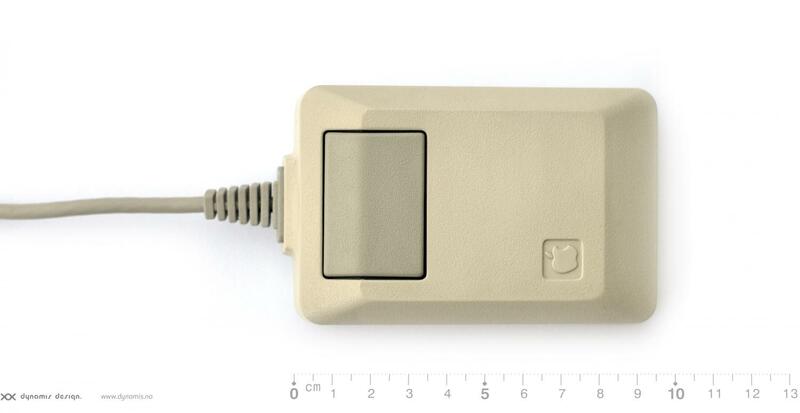 However, Macintosh Mouse (M0100) was little changed from the original Lisa version and is completely interchangeable. The case was a slightly darker brown than Lisa’s beige coloring and it had less formal lines, with a thick chamfer around its edges to match the Macintosh case. Four months after the Macintosh debut, the Apple IIc was introduced with the addition of an optional mouse to manipulate standard 80 column text. 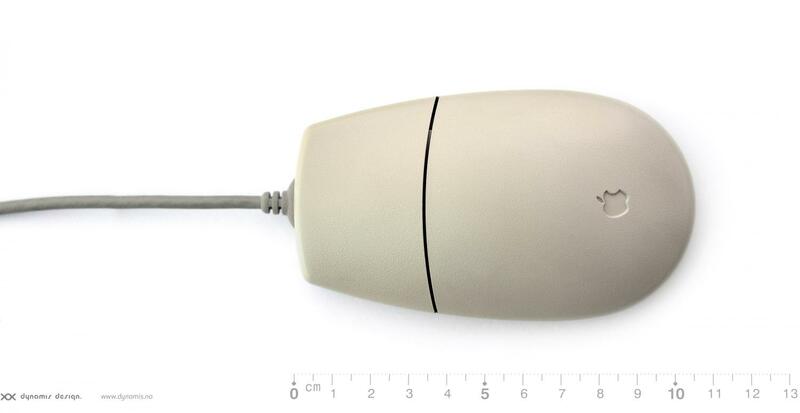 The mouse was similar to the Macintosh mouse, though it was in a creamy-beige color that co-ordinated with the IIc’s bright off-white case and had a slightly modified design which was sleeker than the Macintosh’s blockier shape. 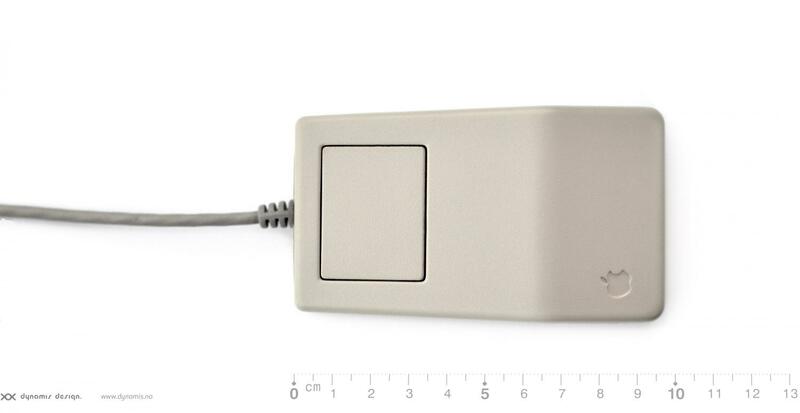 It also was uniformly the same color, eliminating the Mac & Lisa’s contrasting taupe accents on the mouse button and cable. In September 1986 Apple continued a year of major change by converting its mice and keyboards to the Apple Desktop Bus (ADB). Newly redesigned, this mouse retained the blocky footprint of its predecessor, but had a lower, triangular profile. In only its third major redesign in 10 years, the Apple mouse shed its blocky exterior for rounded curves. The so-called tear-drop mouse, was essentially the same as its predecessor but with a new case subsequently held as the ideal shape of mice. Indeed the basic design has persevered into current models, as well as being widely copied by other mouse manufacturers. It was included with all Macintosh desktop computers from 1993 until 1998. 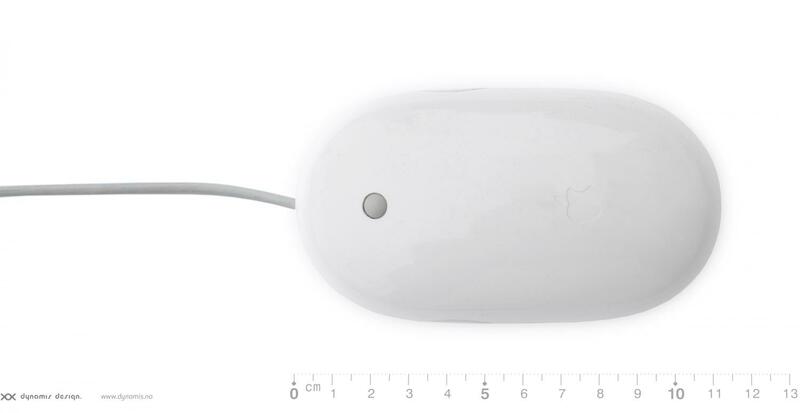 The Apple USB Mouse, commonly called «Hockey puck» (so called because of its unusual round shape), is a mouse released by Apple Inc. It was included with the iMac G3 in 1998 and included with all successive desktop Macs for the next 2 years. It was the first commercially released Apple mouse to use the USB connection format and not the Apple Desktop Bus (ADB). Available colors was Bondi Blue, Blueberry, Strawberry, Grape, Lime, Tangerine and Graphite. In a move away from the bold colors of the iMac and in a return to the styling of the traditional mouse design, in 2000 Apple discontinued the USB mouse and introduced the monochromatic Pro Mouse. 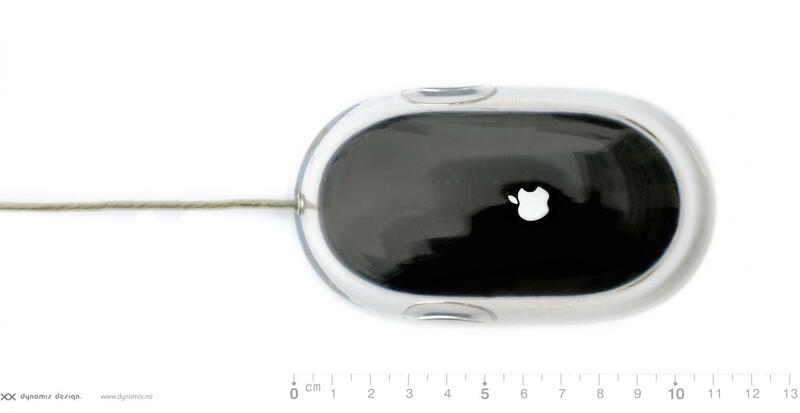 A similar design to the ADB II mouse, the black Apple Pro Mouse was surrounded by a clear plastic shell. The original Pro Mouse was in black. 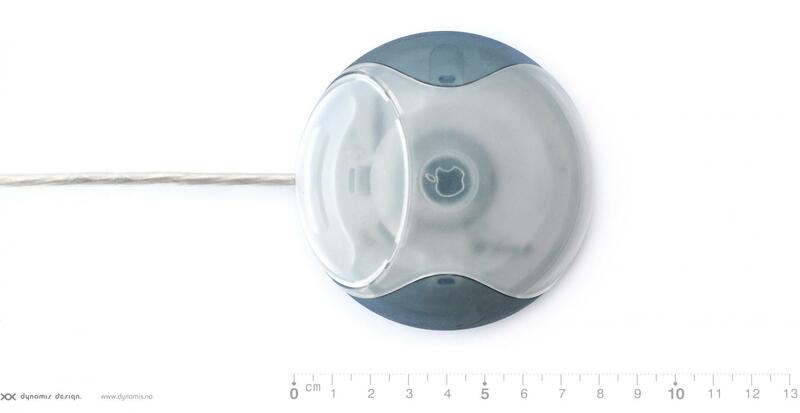 The Apple Wireless Mouse is a one button mouse built for Macintosh computers. It was released in September 2003. Previously included with all new Macintosh desktop models, it was a major departure from Apple’s one-button philosophy integrated in its design since the Lisa. The mouse has four functional «buttons»: a left capacitive sensor, a right capacitive sensor, a 360 degree enabled clickable track ball with a pressure sensor and side squeeze sensors. The track ball enables users to scroll a page or document in any direction, including diagonally. Two of the above-mentioned inputs are not physical buttons. Rather, the touch-sensitive topshell (mentioned below) and the pressure sensing trackball allow the mouse to detect which side is being touched or whether the trackball is being held in. The mouse emits a sound when the scroll ball is rolled, but this is not a direct product of the ball moving; the sound is actually produced by a tiny speaker inside the mouse. 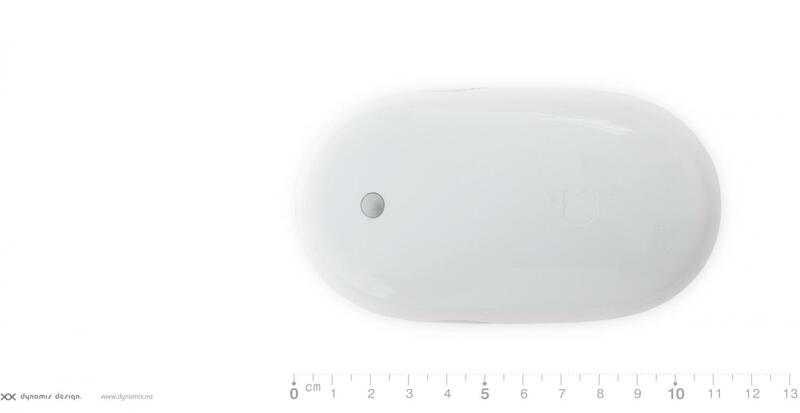 Wireless Mighty Mouse which used Bluetooth 2.0. Introduced in 2009 as a replacement to the Wireless Mighty Mouse. 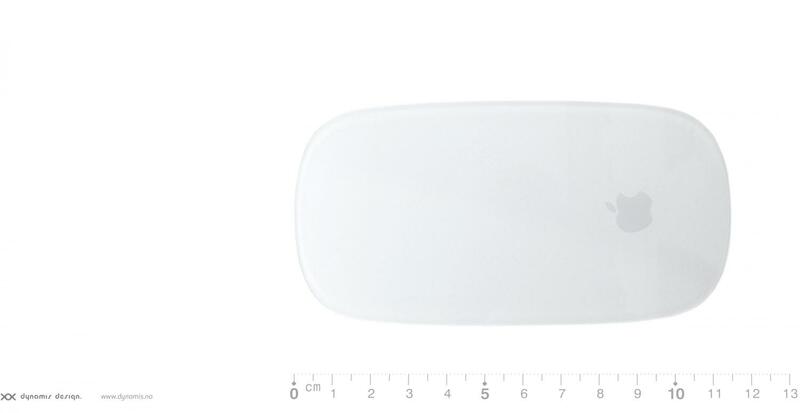 The Magic Mouse features multi-touch gesture controls similar to those found on the iPhone and the MacBook’s trackpads, wireless Bluetooth capabilities and laser-tracking. 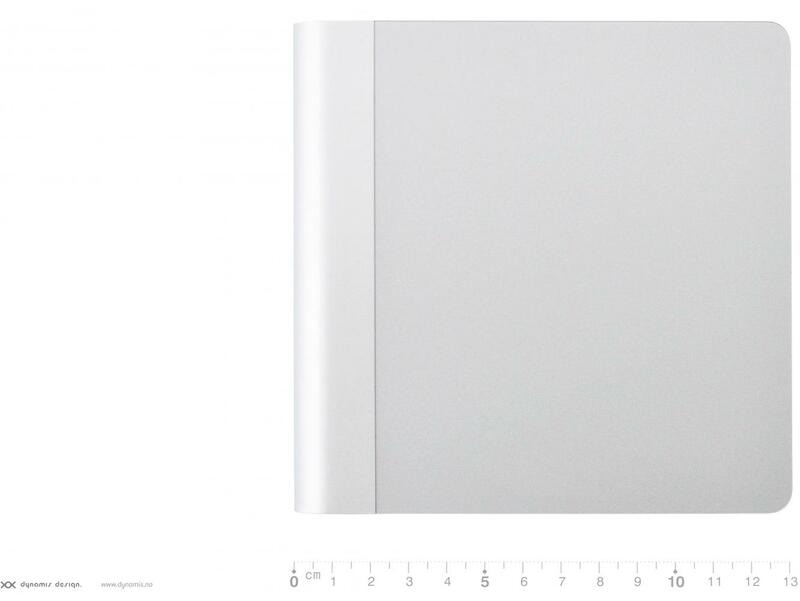 The Magic Trackpad is a multi-touch trackpad mainly consists of glass and aluminium. The device’s design is similar to the trackpad found on the current MacBook family of laptops, but 75% larger than the trackpad found on the MacBook Air and MacBook Pro. 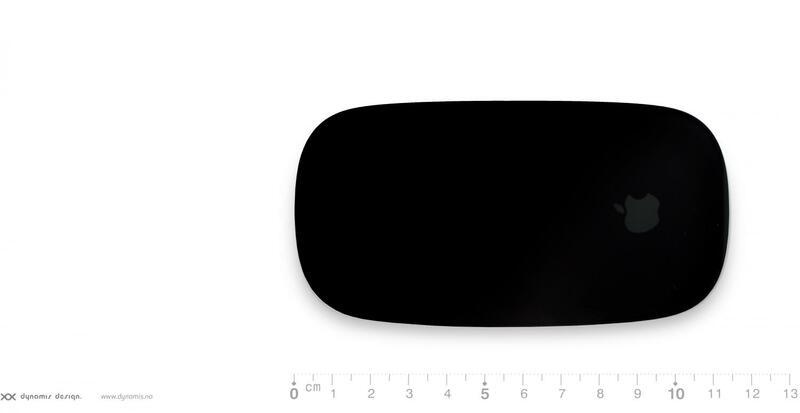 Unlike the Magic Mouse, the Magic Trackpad supports up to four-fingered gestures.